Today when I started looking at the iPhone Photo application a bit, I was excited to see that iPhone automatically optimizes your pictures. I had wondered about this before it came out, because I have a lot of pictures with large file sizes, so I had considered exporting smaller versions of these to put on iPhone, but now I realize that this is unnecessary because iTunes handles this conversion for you automatically. The pictures look great! I was very glad to discover this because it means I don't really have to worry about putting my larger pictures on iPhone because they would take up too much space. I initially noticed this because my first photo synch (65 pics) took up 42MB on the iPhone, although the photos that were imported took up 153MB on the computer. To test this further, I synched a folder of pictures from my brother's wedding (157 pics), a folder of 299 MB, which increased the picture usage by about 100MBs. These pictures averaged about 1.9 MB prior to iPhone synching, and about .64 MB once they were on the iPhone. Great! Then I wanted to see what the iPhone would do with some pictures that were smaller to begin with, so I found a folder of old scanned pictures, 132 photos taking up 38.4 MB. My expectation was that it would still optimize the photos, but with a less substantial gain in memory savings. My photo usage went from about 143.2 MB to 228.3..... 85.1 MB!!! What?!? I must have done something wrong here, right? I checked my numbers, even found the original pics in the finder to see if iPhoto's info had something wrong with it. I went back and unchecked the option to synch that album, so the synch took place and I double checked all my numbers. Nothing was wrong, so I decided to try it again and ended up with the exact same results. The pictures were all JPEG, so there shouldn't be any kind of conversion problems. One abnormality of this album is that the pictures have inconsistent and nonstandard aspect ratios. So I thought that this may have something to do with it. To test this hypothesis, I then took an album of pics taken in Photo Booth from my computer's built-in camera- 228 pics, 16.1 MB, and all the same aspect ratio. After they were "optimized" and synched to my iPhone, the memory usage usage jumped 130 MB. After all this, I made a little chart to do some calculations. The conclusion: each photo imported iPhone takes up just under 650 KB, regardless of original size. So in fact the number of pictures you have is the only thing that determines how much space is taken up on the iPhone. If you don't want to listen to all the iPhone ringtones, just skip to around 2:45 once they start. Apple has just announced prices for their iPhone accessories, most notably the iPhone bluetooth headset, which is priced at $129 US and boasts up to 5.5 hours of talk time and up to 72 hours of standby time. The full product page can be seen here. 3. Create a favorites list. 6. Browse in Cover Flow. A new version of iTunes was just released to include support for iPhone activation and synching, as well as enabling picture streaming to AppleTV from multiple computers. Download iTunes 7.3 here. What model of iPhone should you get? If you are having trouble deciding if it’s worth $100 to take four extra gigabytes along with you, let’s break it down a bit. Here is one way to think of it: $100/2 years (730 days) = $0.137 more per day. How often would you regret not having more storage on your iPhone? If you think you would pay about 14 cents every day to take an extra four gigs along with you, go for the extra storage, and I doubt you’d regret it. If you do, and are planning on keeping it, you might be fine with the 4 gig version. You could use your iPod as your primary music player in the car or on the road, and keep just what you really need on your iPhone. How much more can you actually store with four gigs? That depends.... What do you want that storage for? If you want to store TV shows and especially movies, there won’t be room for much else, so that extra 4 gigs will be much appreciated. If you are worried about having enough space for email, contacts, and calendars, remember that those things take up a relatively small amount of storage, so go for the 4 gig, and use whatever is left for your favorite and most essential media. Also, remember that with iPhone’s unlimited data plan, anything online is at your fingers whenever you do want it. Other relevant questions to ask yourself include these: How often will you sync to your computer? Will you mind frequently and manually managing the content on your iPhone? What kind of content will the majority of your storage space be used for? Also, note that having a four gigabyte iPhone won’t give you four gigabytes of storage space. The operating system will take up about 300MB and you get everything that’s left over. One last unfortunate reality to face: a gigabyte on your hard drive does not equal a gigabyte of storage that you buy but instead about %93 of an advertized gigabyte, since one gigabyte according to your computer is equal to 1,073,741,824 bytes, but according to industry standards for selling storage, a gigabyte is only 1,000,000,000 bytes. So really, 4GB gives you around 3.7GB of storage and 8GB gives you about 7.4. When the iPhone is released, I'll post the official numbers on how much free space is available on each model. 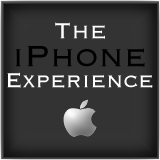 The iPhone Experience is a privately owned website and is not associated with Apple Incorporated. The Apple Logo, iPhone, and other product names are trademarks of their respective owners.